I have always been at odds with the idea of the Punisher. On the one hand, I love super stylized and choreographed action flicks like John Wick, and the brutality and unexpected gore of horror films like The Decent. On the other hand, I am incredibly anti-gun and violence when it comes to the real world. I have been indirectly affected by gun violence, and those effects are part of my everyday life. 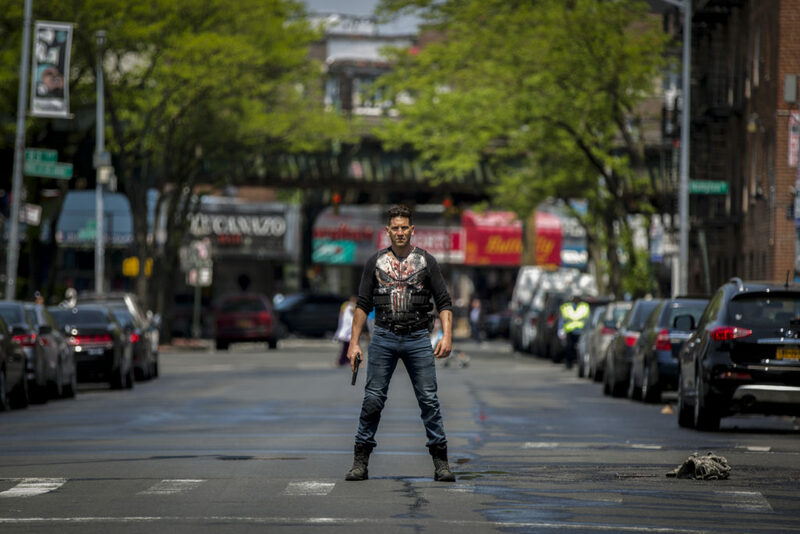 After receiving a half-seasons worth of character development in Daredevil Season 2, which was incredibly uneven and a chaotic, Netflix and Marvel decided to greenlight a Punisher solo series. Season 1 came and went with little fanfare, so when I was assigned the second season of The Punisher, I watched 26 episodes straight: 13 from season 1 and 13 from season 2. And my honest takeaway? The Punisher is the most nuanced and best character pieces I have ever seen. Season 1 is a pretty solid Tom Clancy-esque government conspiracy, but instead of focusing on an enemy overseas, it is all about shady government agencies. The hyper-violence is only used to cap off the end of each season. 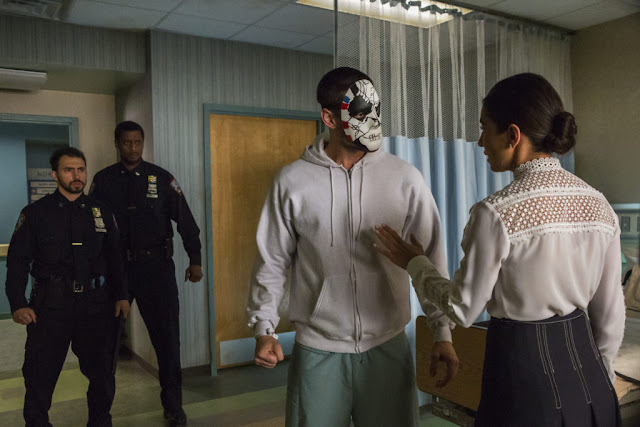 But Season 2 is where the show shines and starts to peel away the layers to Frank Castle, and to a lesser extent Billy Russo (Ben Barnes), better known to comic fans as Jigsaw. The biggest reason for this is that Season 2 doesn’t have to focus on a purely revenge-based plot for Frank Castle to travel down. This allows character motivations to become mixed and allows the stellar cast to shine. In particular, Amber Rose Revah, who plays Homeland Security Agent Dinah Madani shines throughout the season. In Season 1 she was driven by her relationship with Billy Russo and her desire to bring Frank Castle to justice. For Season 2, she is allowed to push her character forward in more compelling ways. Most of her motivation is centered around Russo again, but there is less ambiguity in that relationship and more of a focus put on her actions and consequences. Frank Castle is given a new ward in the form of a young adult woman named Amy, played by Giorgia Whigham. She helps ground Frank Castle and provides him a moral compass, but does so in a way that is not heavy-handed. Unlike moral backbones of other superheroes, Amy is a troubled character who has a checkered past as well, which gives Frank Castle the opportunity to set her on the straight and narrow. Any scene between the two of them that isn’t heavily focused on the action is great character building for both of them. A particular intro scene early in the series where Amy is performing magic to Frank’s bewilderment stands out. 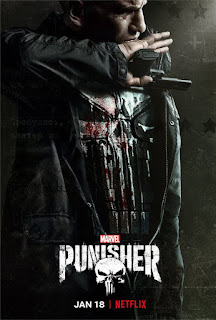 One thing that is really nice is that The Punisher as a show has completely dropped all pretenses about being connected to the MCU. While comic book fans have been pining for the promise of the MCU connecting everything for years, the reality of it is much more complicated than the everyman thinks. Syncing up schedules of nearly three dozen or so actors, making sure every character gets their cool heroic moment in an already huge script and ensuring a cohesive vision between projects is incredibly daunting. The Punisher completely jettison its relationship to other MCU properties, with only Karen Page occasionally showing up to wax philosophical about Frank’s righteousness. Which brings us to my biggest question: Why does the Punisher work, and how can I reconcile my own real-life experiences with this character? 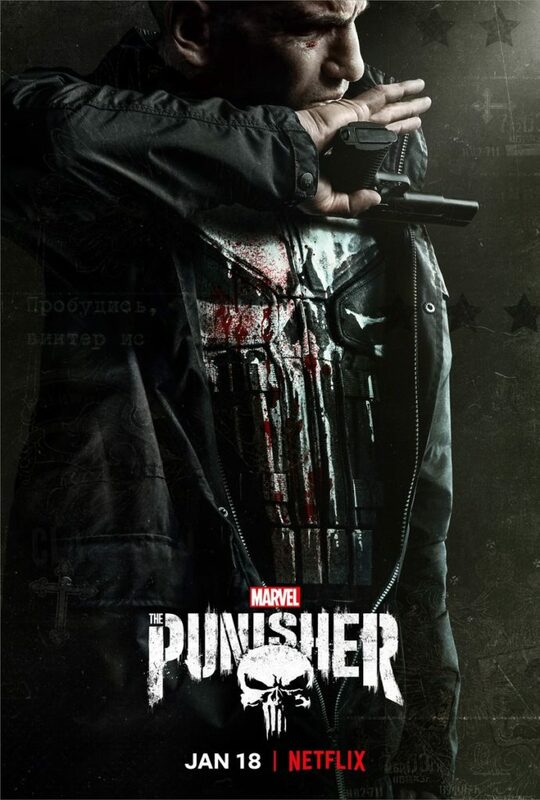 Leading up to Season 2 there has been a lot of chatter online about what the Punisher means in his relation to the real world, from the skull logo the character is famous for being used by certain police and Jon Bernthal himself calling out members of the Alt-Right who co-opt the logo. Recently, Punisher creator Gerry Conway even weighed in on the situation, comparing people who use the logo and character as a reason to enact their own form of justice to those that rise and salute the Confederate flag. Here is the thing though: Frank Castle is a murdering sociopath. The character is written that way. Jon Bernthal portrays him that way. He has been written that way for years. I think it goes without saying that this is fiction. Frank Castle works as a character because he isn’t real. He can be larger than life. He can be hyper-violent and take beatings that would certainly kill most people. Comic books, film and television have always been about larger than life characters, and Frank Castle is no exception to that. But because of that, Frank Castle and The Punisher isn’t for everyone. Some people really like the in-depth look at what a veteran might have potentially had to do in the name of service, and how that person reconciles with it. Others like the sheer goofiness of it all. Does it make sense that Frank Castle tortures people with a dumbbell? Not really, but there's a certain joy coming from its absurdity. You should watch it, but turn your brain off before you do so if you want to enjoy it. The Punisher is super violent and hyper-realized in the way that only a comic book character could deliver. After a single episode, you will be hooked and want to watch Frank and his journey. Hell, there are even a couple of fake outs to him getting genuine happiness. And while the show weaves through complex themes, with some incredible highs when it comes to character development, there were only two moments of genuine squeamishness throughout. While it seems unlikely the show will get a third season, what is here is meaty and delightful, if you have the stomach for it. The Punisher Season 2 is set to land on Netflix on January 18th.